Both our wooden and metal gates are perfectly suited for automation. All of our wooden and metal gates are able to swing together as a pair or individually. If you have limited room and a swinging gate isn’t practical or you require a higher level of security and protection then we can create a sliding system for the gate. This can be done either on a track or by using a trackless cantilever system. 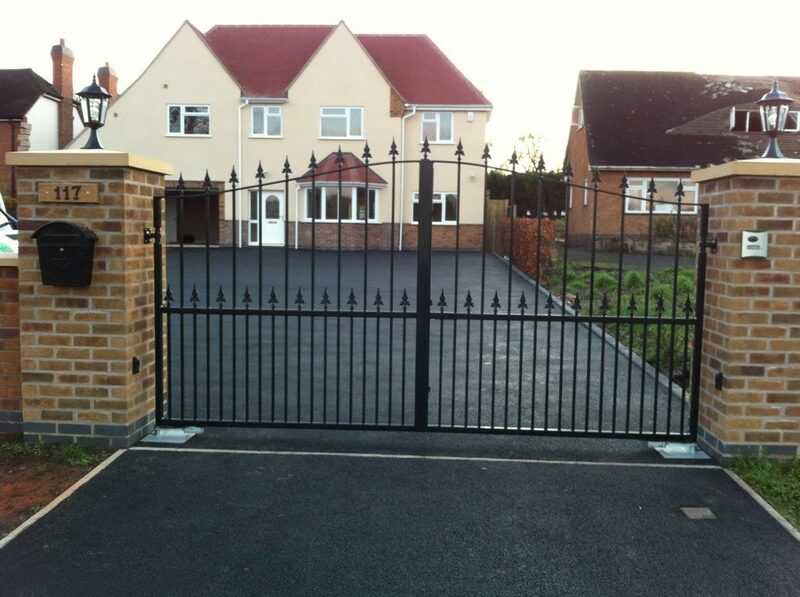 We are even able to build them so they appear as a pair of gates. Choose from a range of designs or show us your own designs and we will bring them to life. Contact us today for more information regarding any of our services including electric gates , automatic gates, and access control. We operate throughout the Midlands including Leicester, Loughborough, Market Harborough, Birmingham, Coventry, Derby, Northampton, Sheffield. 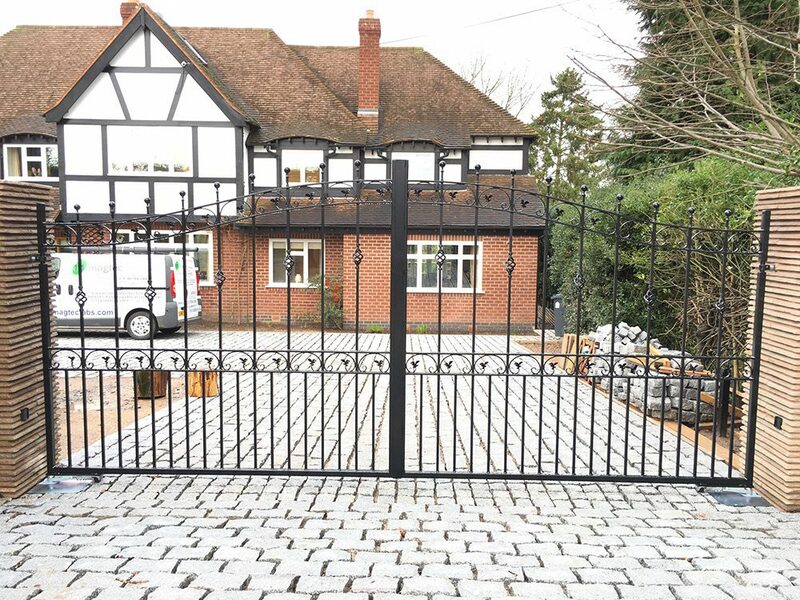 Our driveway gates ( both wrought iron and wooden) are made to measure to suit our customers’ specific requirements, you can either choose a design from our gallery or you can provide us with your own design. We operate throughout Leicester, Loughborough, Market Harborough, Oakham and throughout the Midlands. 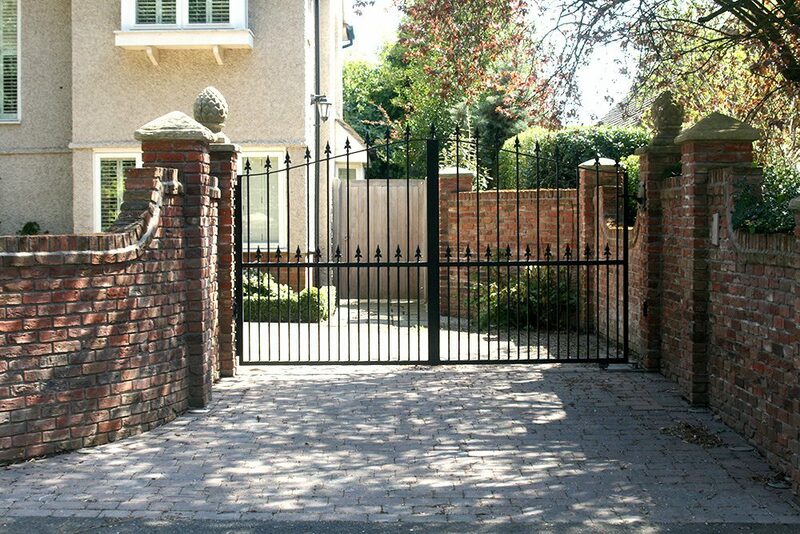 Our wrought iron driveway gates are manufactured in-house by our own dedicated craftsmen with over 40 years experience. 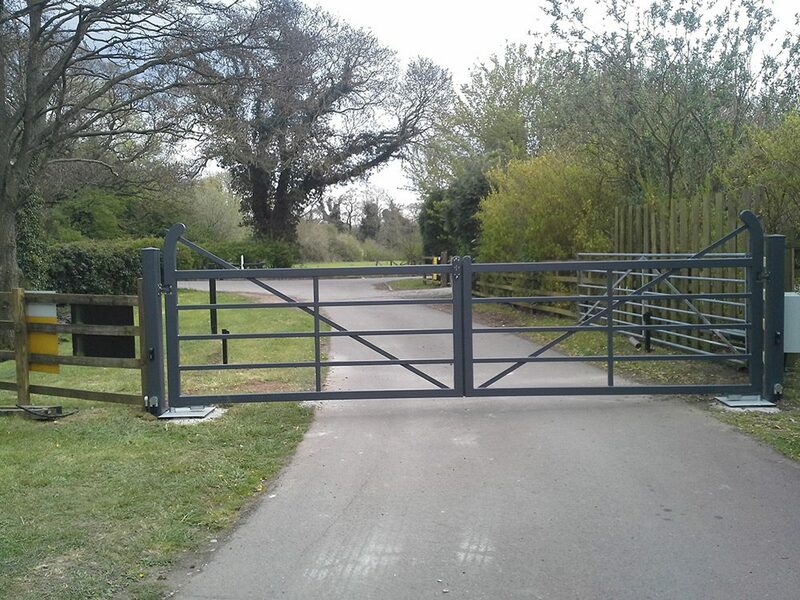 The gates are then finished to the highest standards by hot dip galvanizing (this protects them from rust, making them maintenance free for years to come), they are then powder coated to a colour of your choice. If budget is an issue we can also finish the gates in a primed finish ready to accept a final coating.